The Union Fellows Selection Committee yesterday presented its list of new AGU Union Fellows for 2014. Among them were EAPS Professor of Oceanography Glenn Flierl and Professor of Geophysics Dan Rothman. Glenn Flierl's work concerns with impacts of eddies on the distribution of tracers and biology in the ocean, including both transport and alterations in the reaction terms. Examples of current areas of active research include using the tools and methodologies of geophysical fluid dynamics to explore physical as well as biological and chemical aspects of strongly nonlinear eddies and meandering jets, modeling vortices in vertically and horizontally sheared flows, and exploring interactions between waves and vortices. With a PhD in Physics from Harvard (1975), Professor Flierl joined the faculty in 1976. 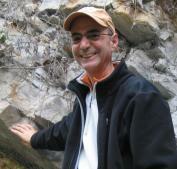 Dan Rothman is a theoretical geophysicist who has contributed widely to the understanding of the dynamical organization of the natural environment. His work has resulted in fundamental advances in subjects ranging from seismology and fluid flow to biogeochemistry and paleobiology. 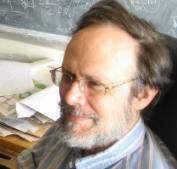 He has also made significant contributions to research in statistical physics. Rothman's current work combines theory, field observations, and experiments to study problems including the carbon cycle and climate, the co-evolution of life and the environment, and the dynamics of fluids, rocks, and sand. He is the co-founder of the Lorenz Center devoted to fostering creative approaches to increasing fundamental understanding of how climate works. Rothman holds a PhD in Geophysics from Stanford University (1986). He joined the faculty in 1986. Established in 1962, the Fellows program recognizes AGU members who have attained acknowledged eminence in the Earth and space sciences as valued by their peers and vetted by a Union-wide committee of Fellows. Primary criteria for evaluation in scientific eminence are a major breakthrough or discovery, paradigm shift, or sustained impact. New Fellows will be celebrated on Wednesday, 17 December, during the Honors Ceremony and banquet at the 2014 AGU Fall Meeting in San Francisco. Also honored were several EAPS alumni including Chris Marone (Pennsylvania State University), Luisa Molina (Molina Center for Strategic Studies in Energy and the Environment, La Jolla, Calif.), Anne Sheehan (University of Colorado, Boulder), Detlef Stammer, (University of Hamburg, Germany), and Shijie Zhong (University of Colorado, Boulder). Delia Oppo (Woods Hole Oceanographic Institution) advisor to several of our MIT/WHOI Joint Program students was also named. A full list is published in the July 29, 2014 issue of EOS. Congratulations on this highly deserved honor.